We have created a list of our favorite top 10 things to do in Estes Park on your Colorado vacation. 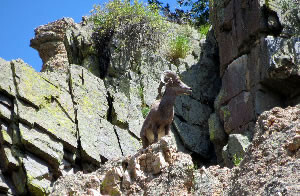 Estes Park offers many outdoor activities to choose from. The list below will give you a locals perspective on some of the best things to do in Estes Park while you are here. 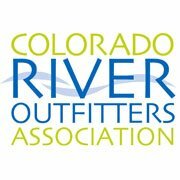 From whitewater rafting the Cache la Poudre River to hiking the trails in Rocky Mountain National Park there really are so many things to do. 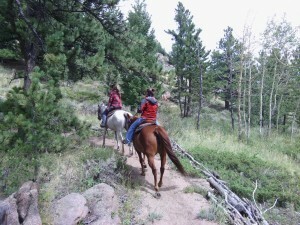 We recommend to visit Estes-Park.com and Visitestespark.com for a full list of activities. Have fun, get outside and experience what Estes Park is all about! Whitewater raft the Cache La Poudre River with A Wanderlust Adventure. Locals call it the “Poo-der” river, and it’s continuous rapids and amazing scenery are worth the 80 minute drive to Fort Collins where the rafting takes place. For 35 years A Wanderlust Adventure has taken over 170,000 Estes Park vacationers whitewater rafting near Estes Park on Colorado’s only National “Wild & Scenic” River. They offer mild to wild half day trips for both families and adrenaline junkies. 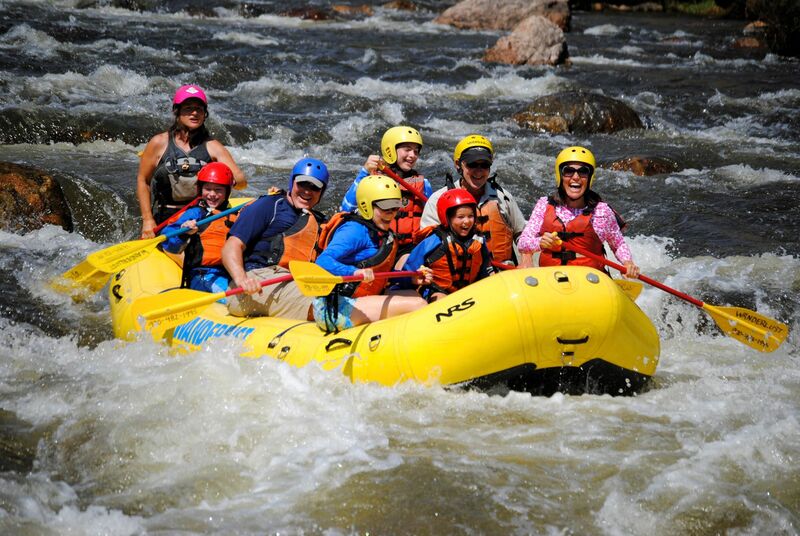 Whitewater rafting on the Poudre River with A Wanderlust Adventure will be your Estes Park vacation highlight! Going on a guided Fly Fishing Trip with Scot’s Sporting Goods would have to be on the top of your things to do in Estes Park list. 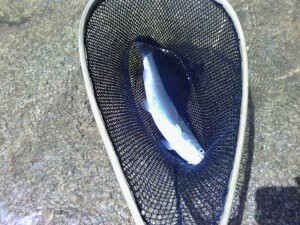 If you’re looking to fish the streams and lakes in and around Estes Park, Scot’s Sporting Goods is the place to start. They’ve been in the guided fly fishing business in Estes Park for more than 40 years. Your fly fishing adventure begins with the small streams and high mountain lakes of Rocky Mountain National Park, the larger Big Thompson River, or the private waters of Sylvandale Ranch. Scot’s offers “drive up” fishing where its a short walk to the water or you can hike farther distances and maybe not see another angler all day long. Go hiking in Rocky Mountain National Park. 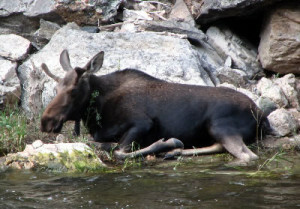 Kirk’s Mountain Adventures offers guided hikes into Rocky Mountain National Park. This National Park offers some of the most spectacular scenery in the country. Their hiking trips will take you by cascading waterfalls, past serene mountain lakes, and across breathtaking mountain top views. They can provide expert-guided photography trips, guided flora and fauna viewing, and much more. You even have the option to add a Llama or two to your next day hike! Experience a horseback riding trip with Sombrero Ranches. Since 1958, Sombrero Ranches has made the Western heritage of Colorado available to everyone by offering horseback riding experiences in the Rocky Mountains. Whether you are a local or a visitor, experienced in riding or new to the world of horses, they invite you to join them on one of their trail rides, trips, or adventures in the magnificent high country of the Rockies. Go on an unguided ATV ride with Estes Park ATV Rentals. Your adventure starts with Estes Park ATV Rentals, with their unguided excursions through the back country of the Rocky Mountains. They provide 2016 ATVs and UTV rentals that are at the trail head waiting for you. This will ensure you have a worry-free and enjoyable ride. They can even help plan your trip through the outdoors, whether you are interested in exploring the “The Jet Plane Crash” , the fall colors or mind-boggling geological sites. Their instructors, with over 40 years of experience, can put together the best trip for your level of experience. Beginner or expert, they are here to help you. All of the safety equipment you will need is provided, along with everything you will need to get to your destination and enjoy your day on the trails. Experience a guided biking trip. New Venture Cycling offers fun and exciting downhill bike tours in Rocky Mountain National Park in Estes Park, Colorado. Enjoy the splendor, dramatic scenery, and olfactory sensations of Rocky Mountain National Park from a bicycle! Their guides are experienced cyclists, passionate about the natural world in which they work. They love to share what is historic and beautiful about Estes Park, Rocky Mountain National Park and the surrounding area. Visit Open Air Adventure Park. The only adventure of it’s kind in Estes Park, Colorado. Release your aerial monkey on their 32 challenges that you can climb on, maneuver over, and swing thru during your time on their course. Their park is for adventure seekers ready to try life high above the ground! Go on a guided rock climbing trip with the Estes Park Mountain Shop. 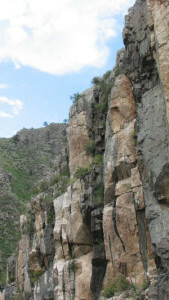 Estes Park is recognized throughout the climbing community for its abundance of fine rock climbing locations. The guides at the Estes Park Mountain Shop specialize in making you a better climber by focusing the time they spend with you on your specific needs and interest. They are able to cater to every one’s ability level by offering several different trip options. So if you are a beginner with lots of interest or have been climbing for years, the Estes Park Mountain Shop will have something to offer you! Ride the Estes Park Aerial Tramway. If you want to experience the most magnificent views of Estes Park and the Rocky Mountains, don’t miss the Aerial Tramway in Estes. Take the tram to the summit of Prospect Mountain and be sure to pack a picnic basket for a sightseeing adventure. From the top you will have amazing views of Estes Park Village, the Continental Divide, and Longs Peak. Ride the tram up and down for a shorter trip or stay all day at the summit and return whenever you want. See the glorious Rocky Mountains and nature unlike any other way! Experience a wine tasting tour with Snowy Peaks Winery. A light lunch to go along with a tasting session can be had at Snowy Peaks Winery. Their selection of White, Rose, Red and Dessert wines features a variety of flavors ranging from lemon and pineapple Chardonnay to the orange blossoms, spicy musk and hint of peach of their Orange Muscat. A family-friendly place to visit, Snowy Peaks also offers a children’s room with toys, games and juice tastings. Listed above are just some of the top things to do in Estes Park. For more information we recommend to contact the Estes Park Visitor Center.